In November, passage of a federal agricultural budget bill restored USDA funding for horsemeat processing plant inspections. Now, a pair of equine welfare advocates is offering $2,000 to anyone who can make a convincing argument in favor of reviving the horse processing industry in the United States. They like to call themselves “Pro-Slaughter” as if there is an ounce of good in them but the bunch that supports the uncivilized practice of brutally slaughtering companion horses and then feasting upon their carcasses has nothing “Pro” about them, in fact they are about as “Anti” as you can get: Anti-Horse, Anti-Eduction, Anti-Truth, Anti-Morals and above all, Anti-American. They speak to all that is wrong with our society as they pervert and twist our governmental processes for the sake of a few extra coins in their pockets as they torment the gentle equine soul and spout untruths, lies, rumor and innuendo as if it were fact and one American has called them out and said enough is enough. Wrap your brain around this concept for a minute; would any sane, educated adult hand over the keys to the family’s pickup truck, a credit card and a loaded AK47 to a spoiled 10 year old bully with severe personality disorders? Not in the real world; only in a science fiction, slice-and-dice, B-grade thriller would you expect to see such carnage and anarchy. But you are all in for a low cost treat as that is exactly what is going on with the two laughable cartoon characters that head the pro-horse eating organization called United Horsemen. All the cockroaches have come out on the kitchen counter to feed and poop while not one of them has a plan. Animal Abuser – Therapy or Jail? As part of my less formal education I attended a course from HSUS called “First Strike – The Violence Connection.” While the material presented was shocking, the conclusion fits like a glove onto every scenario of animal abuse and neglect that I’ve witnessed. The bottom line is that when you see a person who is guilty of animal abuse, you are also looking at a person who has no problem beating the hell out of another human. Animal abuse is a proven predictor of violent behavior. HOUSTON – There’s help for horses this week and a bit of relief for their owners during the record setting drought. They’re getting a hay “bale out” from the American Society for the Prevention of Cruelty to Animals. The ASPCA announced today that a total of $250,000 is being granted to 24 equine welfare organizations and animal control agencies across Texas and Oklahoma. 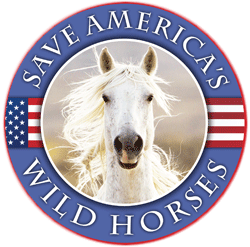 Habitat for Horses announces…. No adoption fees on ranch horses and donkeys! For a limited time, Habitat for Horses is waiving all adoption fees for horses and donkeys adopted from the ranch. The requirements for adoption remain the same and there is still a $35 application fee, but there will be no adoption fees on our available ranch equine.